On a sweltering Wednesday afternoon, Val Thomas Eppler was sitting at a bus stop on Mountain View Drive with his baseball cap pulled low, sweat dripping down the back of his neck and nowhere to go. 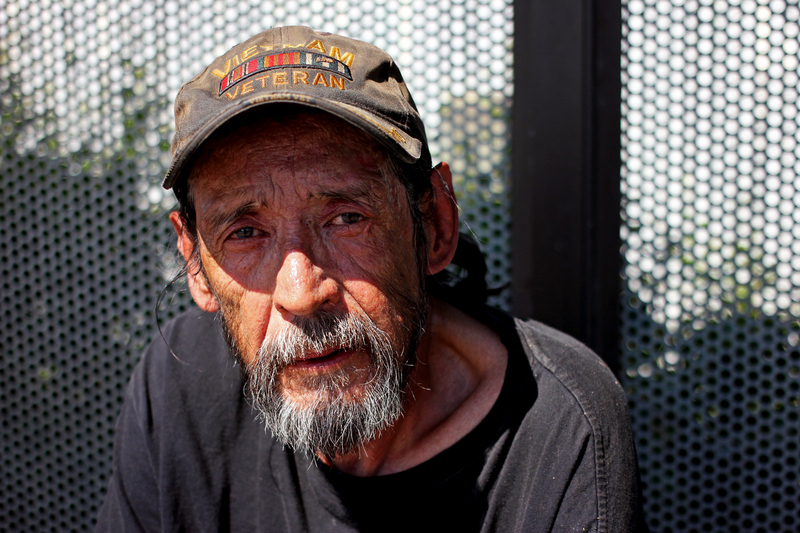 I asked him about his hat and he told me about his life — starting with the U.S. Army and the Vietnam War. I ask how he came to be in Alaska. He lived in Bethel, then Anchorage. Years passed. He became homeless in 2002. He tells me how he’s been sleeping under a tree in front of Clark Middle School. He tells me about his three 20-something sons out in Bethel; how they’re saving money to buy him a ticket home later this month. I pray for safety. Hope you can get home.